Using the body mass estimates of 12 long-distance migrating Palearctic passerine species monitored at successive sites across the Eastern Africa flyway, we tested whether birds modulate their body mass according to specific seasonal demands across different geographic sectors. We compared body mass estimates across latitudinal distances and geographic sectors in Europe, the desert, Northeast Africa and East Africa. Our results show that, depending on the species and season considered, the average body mass increase or decrease is variable at and among different geographic sectors. By comparing the variation in body mass between different ecological sectors, we were able to show when and where migrants accumulate their migratory fuel reserves during migration. Most organisms that live in seasonal environments undertake seasonal journeys of varying distances. World wide, millions of birds leave northern latitude breeding grounds every autumn to migrate to the south and undergo a return migration during the spring. Some species travel a little over 100 km, while others cover longer distances and can be on migration for about half a year (Alerstam 1990). To make these trips, birds need to cope with the large energy costs of long-distance flight, particularly when crossing ecological barriers, such as oceans, mountains and deserts. The eco-physiological mechanisms adopted by long-distance migrating Palearctic birds for crossing ecological barriers have attracted the interest of ornithologists for more than 45 years (Moreau 1961, 1972). Different ecological theories have been proposed to describe the seasonal migrations and flights for crossing such barriers (particularly the Sahara Desert). To date, the authors of each study have argued—to varying degrees—that birds use flight strategies based on the incorporation of step-wise and/or intermittent flights. These include a non-stop flight, short/long intermittent flight, migration oriented along a given route/site, broader front, stopover at oases, nocturnal flights, using shade to avoid heat in the day, loop migration, among others (see, for example, Bairlein et al. 1983; Bairlein 1985, 1991; Biebach et al. 1986; Biebach 1990; Pearson et al. 1988; Schmaljohann et al. 2006). birds which do not steadily increase their body mass towards the south and do not accumulate excess energy that could be used to cross the Sahara Desert in North Africa but which regularly stop and fuel up in the Sahara (e.g. Spotted Flycatchers Muscicapa striata). The difference in energy-accumulating strategies may largely depend on the availability of suitable stopover sites, spatio-temporal variation in food and species differences in food preferences (e.g. exclusively insectivores flycatchers vs. warblers that might also feed on fruits and berries). The strategies described above mainly support organization of the journey before and during the crossing of the Sahara Desert in autumn. However, our knowledge of the organization of fuel accumulation for migrating and traversing ecological barriers in spring is very limited. Although many investigations of migratory Palearctic passerines along the Eastern African flyway have provided data on the body mass of birds at one particular site, very few (e.g. Bairlein 1997, 1998; Schaub and Jenni 2000a, b) have reported comparative results from two or more successive study sites. Indeed, most of the available studies were aimed at one single species and at a limited number of study sites. Furthermore, unlike the situation for the Western Palearctic migration route (e.g. Bairlein 1997, 1998), there has, to date, been no scientific network that has monitored birds along the Eastern Africa, the Middle Eastern and Arabian flyways to make a detailed comparative study of migration along this route in the autumn and spring. Thus, it is not well known when and where Palearctic migrants prepare for migration between different locations in the autumn and spring migration (e.g. Berthold 1996) along this route. In this study, we investigated when and where Palearctic migrants prepare and accumulate their migration energy budget during the autumn and spring migrations. For discussion purposes we have segmented the migration routes into four different sectors: Europe, Desert, Northeast Africa (NE Africa) and Eastern Africa. We used body mass measurements of 12 migratory passerine birds monitored at successive sites in Europe, Eastern Africa, the Middle East and Arabia. Our approaches were twofold: first, we compared the general and specific migratory strategies adopted by different species in different seasons. Second, by comparing the variation in strategies between different ecological sectors along the migration route, we tested whether birds modulate their energy-budget (body mass) according to specific seasonal and ecological demands en-route. Unlike the western population, migrating bird species originating from the eastern populations have to cover a longer distance of inhospitable area. Based on known information and from a theoretical migration strategy, different types of strategies can be hypothesized. During the autumn birds may start accumulating energy reserves in the north (e.g. Europe) and show a steady increase of body mass towards the south before crossing the desert. Birds cross the desert without refueling and hence have lower body mass upon reaching regions south of the Sahara. Alternatively, birds may use an intermittent ‘stop and refuel’ strategy and exhibit no steady increase or decrease in body mass during their migration across Europe and the desert. Species that do not apply a ‘stop and refuel’ strategy during migration across the desert may exhibit a steady decline of body mass. These birds accumulate larger energy stores upon reaching NE and Eastern Africa, prior to their southward migration to the wintering grounds. In the spring, birds are expected to accumulate large energy reserves in NE Africa immediately before crossing the desert. To accomplish this, birds may accumulate energy stores at each stopover site before crossing the desert in Eastern and NE Africa. This would result in a steady increase in body mass as they move northward, while energy reserves would decline during the desert crossing. Birds could also accumulate substantial energy reserves in Eastern Africa but lose body mass during their northbound journey to NE Africa and the desert. When faced with a situation in which such a choice must be made, birds may tend to find high-quality stopover areas in NE Africa close to the desert or, alternatively, to apply the ‘stop and refuel’ strategy while crossing the desert. Autumn and spring body mass values of migratory birds were obtained from both published and unpublished resources from several ringing sites (Fig. 1) and migration studies in NE and Eastern Africa. These include data from the Sudan (Nikolaus and Pearson 1982; Nikolaus 1983), Ethiopia (Ash 1980, 1981; J. Ash, unpublished; B. Biebach, unpublished), Uganda (Pearson 1972, and unpublished; M. Fogden, unpublished; M. Wilson, unpublished), Kenya (Pearson and Backhurst 1976a, b, and unpublished; Britton and Britton 1977, and unpublished) and Tanzania (L. and N. Baker, unpublished; B. Biebach and U. Bauchinger, unpublished). We considered data gathered from Egypt (Moreau 1961; Watson 1971; Goodman and Meininger 1989; B. Biebach and U. Bauchinger, unpublished), Eritrea (Smith 1957) and Somalia (Archer and Godman 1961; Ash and Miskell 1998; J. Ash, unpublished). We also used published and unpublished data sources from the Middle East and the Arabian regions, including Israel (Safriel 1968; Safriel and Lavee 1988; Morgan and Shirihai 1997), Jordan (J. Ash and R. Spencer, unpublished; D. Pearson, unpublished), Kuwait (Cleere et al. 2000, and unpublished), Oman and Saudi Arabia (G. Nikolaus, J. Ash, M. Evans and S. Newton, unpublished). Published migration information was also included in the analysis (e.g. Csörgö and Lövei 1995; Fransson 1995; Chernestov 1996; Lindström et al. 1996; Morgan and Shirihai 1997; Schmidt 1964; Bairlein 1997; Honza et al. 2000). species wintering entirely in NE Africa (e.g. Lesser Whitethroat). species that mainly winter in NE Africa and are uncommon south of 5°S (e.g. Nightingale and Barred Warbler). species that mainly winter along the equator and south of it (e.g. Willow Warbler, Garden Warbler, Spotted Flycatcher, Great Reed Warbler, Sedge Warbler and Whitethroat). species wintering entirely south of the equator but with very few wintering north of 5°S (e.g. Thrush Nightingale, Marsh Warbler and Red-Backed Shrike). The categorizations are not mutually exclusive, and it is evident that some species, such as the Great Reed Warbler, Sedge Warbler, and Whitethroat winter in a region that covers a wider section from the northern to the southern tropics. In addition, we selectively included species that are characterized by having a ‘two-stage’ southward migration (a rapid southward migration followed by an extended stopover in NE Africa before resuming migration to southern Africa; e.g. Marsh warbler) and/or that show a ‘loop migration’ (spring northward passage that follows a more easterly course than during the autumn passage; e.g. Red-backed Shrike) on their northward journey (Pearson et al. 1988). We used body mass data of 12 species: the Great Reed Warbler Acrocephalus arundinaceus, Marsh Warbler A. palustris, Sedge Warbler, Red-backed Shrike Lanius collurio, Thrush Nightingale Luscinia luscinia, Nightingale L. megarhynchos, Spotted Flycatcher, Willow Warbler Phylloscopus trochilus, Garden Warbler, Whitethroat, Lesser Whitethroat Sylvia curruca and Barred Warbler Sylvia nisoria collected from more than 100 sites located in more than 15 different countries. Some ringing sites in East Africa were used as wintering grounds by some birds and, therefore, both wintering and migrating birds were present. The distinction between migratory and wintering birds was carried out according to the timing of migration described by Ash (1981), Pearson et al. (1988), Pearson and Lack (1992), Cramp and Perrins (1992, 1993) and Pearson (personal communication) (Table 1). Since the body mass measurements considered in this study were gathered from several studies undertaken in different years by various investigators, the data were not collected in a wholly standardized way. Corrections for effects of possible sources of bias could not be carried out. Eastern Africa sector: localities below 4°N and 10°S (study sites in southern Kenya, southern Uganda and Tanzania). We used nonparametric statistics (Spearman correlation with Bonferroni correction for a significance level following multiple comparisons) to test for an association between body mass and latitude for each species and season. Due to restricted body mass data from birds on migration during the spring migration in Europe, spring comparisons are made only for sectors in Africa and Arabia. For each species, variation in body mass along each migration sector was compared separately by applying the Mann–Whitney U test with a Bonferroni-adjusted significance level of 0.004. Plots of the mean body mass values in response to latitude are given in Fig. 2a, b. There was no significant association between latitude and body mass in autumn (for all species investigated). Significant negative associations were observed for the Marsh Warbler (r = −0.90, P = 0.003) and Whitethroat (r = −0.87, P = 0.003) crossing the desert during the spring migration; the other ten species considered showed no significant association between latitude and body mass during the spring migration. Tables 2, 3 show sector-wise mean ± SE body mass values for each species. With the exception of the Sedge and Garden Warbler, body mass comparisons between pairs of geographic sectors showed no significance differences (for all the other species considered in this study). For the Sedge Warbler, sector-wise autumn body mass comparisons revealed significantly higher body mass values in Europe compared to values in NE (P = 0.002) and Eastern Africa (P < 0.001). The Garden Warbler showed a significantly higher body mass in the Eastern African sector than in the NE African sector (P < 0.001). Body mass values recorded from the desert were not significantly different than those calculated from study sites located in Europe, NE Africa or Eastern Africa in the autumn. Only the Willow Warbler showed a significant increase in body mass values (during spring migration) in the NE African sector compared to the Eastern Africa (P = 0.003) and Desert sectors (P = 0.001). With the exception of the Desert sector during the spring migration, body mass did not show a significant association with latitude during the autumn and spring migration. This implies that birds do not show a substantial increase or decrease in energy reserve per latitude in a given sector. Most species showed an increase in body mass along the two African sectors but a decrease during their northward migration across the desert in the spring (Table 3). It has been reported that nearly all long-distance trans-Saharan migrant passerines landing in the Sahara Desert have both body masses well above the breeding level and sufficient energy reserves to cross the desert without refueling. Most of the birds checked at an oasis were not critically short of energy reserves, and only a few of them used the desert oases to regain fat (Bairlein et al. 1983; Bairlein 1985; Biebach 1985; Biebach et al. 1986; Biebach 1988; Bairlein 1992; Biebach 1995). This result suggests that energy reserves are either deposited before the birds start crossing the Sahara or at stopover sites in the desert. After crossing the desert, most species showed a substantial decrease in body mass in NE Africa compared to values registered in Europe. The Sedge Warbler, Red-backed Shrike, Thrush Nightingale, Nightingale, Willow Warbler, Garden Warbler, Whitethroat and Barred Warbler showed a marked decrease in body mass in this sector (Table 2). Across the Eastern African flyway, several bird species perform step migration whereby they cross the Saharan or Arabian deserts without delay and arrive for extended stopover in NE Africa. Within this stopover period, many birds accomplish a partial or complete moult. Migratory passerines with such a stepwise autumn migration and moult include the Marsh Warbler, Whitethroat and Great Reed Warbler (Pearson 1973, 1975; Pearson and Backhurst 1976a; Curry-Lindahl 1981; Pearson 1982; Dowsett-Lemaire and Dowsett 1987; Pearson et al. 1988). However, individuals of other species may also perform moult in these areas. In such cases, a moult-related decline in body mass might be exhibited. Along the NE Africa migration sector, slight gains in body mass were estimated for the Garden Warbler compared to those observed in Europe, the desert and Eastern Africa (Table 2). As indicated earlier by Ash (1980, 1994), some bird species arrive in NE Africa with a moderate body mass and show a substantial increase in body mass before departure to more southerly located wintering grounds. In the spring, most of the study species gained considerable mass at the northeasterly sites in Africa (from which they take off for trans-desert migration to the northern latitude) followed by a substantial mass loss during migration across the deserts (Table 3). Birds caught in Eastern Ethiopia, Somalia and the Farasan Islands of Saudi Arabia revealed pronounced body mass increases relative to birds caught at study sites located in Eastern Africa. For example, on average, the Marsh Warblers in Jijiga, 09°22′N 42°51′E eastern Ethiopia, were 4.22 g heavier than birds in Kifufu (03°09′S 39°12′E), Tanzania. 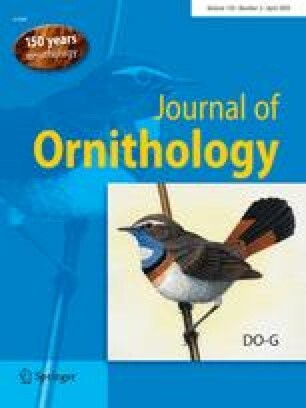 Marsh Warblers were not observed feeding at the stopover site in Jijiga (H. Biebach, personal communication and personal observation); therefore, the increase in body mass must have been achieved at feeding sites located south of this site. Based on our analysis, the four strategies demonstrated earlier (e.g. by Schaub and Jenni 2000a) for crossing the desert by migratory birds of the Western African migration route (i.e. steady increase in body mass along the migration route, increase in body mass towards the south before reaching the Sahara or just before crossing the desert and regular stop-and-fuel strategies) are not directly applied by birds migrating along the Eastern African flyway/migration route (taken here as the route through Egypt, Sudan, Eritrea, Ethiopia, Somalia, Kenya, Uganda and Tanzania). We are aware that, unlike the data from Schaub and Jenni (2000a), our results are derived from a dataset (gathered from different sources) that do not account for fluctuations or unidirectional changes due to factors that affect body mass estimates. Hence, some of the estimates may have given a biased conclusion. Nevertheless, our results, which are based on a large number of birds and study sites, provide valuable information on the general trend of passerine migration strategies over a wider geographic range in both seasons. Schaub and Jenni (2000a) note that they did not sample birds from the eastern population of Sedge Warbler, Whitethroats and Spotted Flycatcher. However, our results (which include data from the eastern population) indicate that while migrating along the Eastern African flyway, some species (e.g. Sedge and Garden Warbler) may have adopted a slightly different strategy than those reported earlier (e.g. Schaub and Jenni 2000a, b). Similar to the results shown for change in body mass during the migration from Western Europe to Northern Africa, the Spotted Flycatcher did not show a significant change along the Eastern flyway. Elsewhere, observations and recoveries of Spotted Flycatchers have indicated that North Africa is used as a stopover site before crossing the Sahara (Moreau 1972; Bundy 1976; Sultana and Gauci 1982; Flint and Stewart 1983; Fransson 1986). In a study at an Egyptian oasis, only very few Spotted Flycatchers stayed several days and gained some mass before continuing migration to the south (Biebach 1985; Goodman and Meininger 1989), while all of the others had high masses and departed after a short stopover. Along the entire migration route considered in this study, the highest autumn mass for the Spotted flycatcher was reported from the stopover sites in the deserts. This implies that birds may intermittently stop and refuel while crossing the desert. Similarly, the western population of Sedge Warbler already starts to accumulate a larger fuel store in Central Europe, long before arriving at the northern edge of the Sahara (Bibby and Green 1981; Schaub and Jenni 2000a). Along the eastern route, this species does accumulate its energy store in Europe, but it still maintains a steady body mass towards the south before crossing the desert. Similarly, Whitethroats showed no significant increase in body mass in the east, while in the west, it accumulates the larger energy reserves in North Africa before its flight across the Sahara. These differences could mainly be accounted for by the fact that the eastern populations have to cover a longer distance of inhospitable area (including the Arabian Desert and the Red Sea followed by the Sahara Desert). As such, the different landscape pattern may place constraints that require a different type of migration strategy. Thus, it could be speculated that different populations might have evolved different migration strategies of energy storage during migration. Using body mass measurement of Garden Warblers caught on southbound migration across SW Europe, both Bairlein (1991) and Schaub and Jenni (2000a) independently found a similar pattern of a relatively larger increase in body mass in eastern birds than in western birds (comparing 10° east and west) during the autumn migration from the breeding ground in Europe to North Africa. These researchers argue that the western population of Garden Warblers migrates through the Iberian peninsula and crosses a shorter stretch of the Mediterranean Sea, while the Eastern population is required to cross the eastern section of the Mediterranean Sea and then crosses the Sahara Desert (Biebach 1996); this latter route provides limited opportunity for refueling and, hence, larger energy reserves needs to be stored. Several factors may affect the body mass measured at various study sites. These include body size, time and intensity of moult, time of day and year as well as inter-year variation, method and effort of capture, geographical location, food availability in the study site, errors and accuracy of measurements by various investigators, among many others (Clark 1979; Murphy 1996; Schaub and Jenni 2000a). In addition, different populations may be associated at different study sites and in different seasons. Similarly, other factors, such as sampling bias towards lower body mass values, the arrival and departure of the birds caught at each site, the stopover duration, fuel deposition rate of the birds at each site, variation between different years and weather conditions, contribute to the variation in body mass. For some of the species, body mass values differed between geographic sectors, indicating that birds possibly modulate their energy budget depending on their current location (geographic sector) en-route. This is in agreement with a recent appraisal and study of spatio–temporal precision in bird migration. For instance, in an experimental study, Fransson et al. (2001) and Kullberg et al. (2003, 2007) illustrated that birds may use geomagnetic cues as external indicators for successful migration, and they explain that these cues (simultaneously operating with bird’s orientation behavior and endogenous rhythm) provide information about the geographical position when such information is required, for instance, for a fueling decision. Given this, depending on the species and the route taken, a certain relationship would be expected between body mass and latitude of a given geographic area. Palearctic birds that migrate through eastern and northeastern Africa are likely to belong to populations from different breeding grounds. Some passerines cross the Sahara to reach breeding grounds in the eastern Mediterranean while others presumably migrate over a broader front to move into Southwest Asia through the Arabian regions (Moreau 1972). These two subpopulations may differ in terms of the timing of migration and fuel deposition (and hence extent of fattening), which in turn may be related to the physical and geographic differences between the migration routes. Some birds bound for the breeding areas in the north–northeast may start to increase body mass as far south as the equator. For example, Pearson (1971) has shown that in the spring, the heaviest Sedge and Marsh Warblers encountered in Uganda, Lake Victoria had sufficient fat reserves for migrating directly to the Middle East. However, a considerable number of birds caught in late spring in Uganda had moderate body masses. These birds may keep their reserves by frequently feeding, while moving either to more northerly sites or to further staging areas close to the desert. The extent and rate of fattening may also vary between sites (Pearson 1971, 1978). Many locations in Eastern and NE Africa serve as important fattening areas for Palearctic migratory birds in both south- and northbound migration seasons. In the autumn, birds show an increase in body mass in NE Africa before migrating to more southerly wintering grounds. In the spring, birds gain considerable mass in NE Africa and immediately to the south of the Arabian/Sahara Desert before takeoff for trans-desert migration. Thus, the quality of these stopover sites may very well exert a significant influence over the success of the journey as well as the reproductive fitness of the birds in their breeding grounds. Our results are based on body mass estimates of 12 Palearctic migratory passerines monitored at successive sites in Europe, Eastern Africa, the Middle East and Arabia. We show that, in general, passerine migrants adopt different patterns of accumulating energy reserves for crossing ecological barriers and migration. These patterns vary depending on the geographic sector and seasons (autumn and spring). Moreover, different populations or subpopulations may follow specific strategies that particularly fulfill the eco-physiological demands of each geographic sectors en-route. Wir überprüften, ob 12 langstreckenziehende Singvogelarten ihre Körpermasse entsprechend bestimmten saisonalen Erfordernissen längs ihren Zugrouten ändern. Dazu verwendeten wir Körpermasse-Daten, die an Orten auf verschiedenen Breitengraden und in verschiedenen Sektoren entlang des ostafrikanischen Zugweges in Europa, der Sahara und in Nordost- und Ostafrika gesammelt worden waren. Die durchschnittlichen Zu- und Abnahmen der Körpermasse variierten sowohl innerhalb einzelner Sektoren als auch zwischen verschiedenen Sektoren je nach Vogelart und Saison. Durch den Vergleich der Variation der Körpermassen in verschiedenen ökologischen Sektoren können wir zeigen, wann und wo Langstreckenzieher während des Zuges ihre Fettreserven auffüllen. This study comprises an analysis of data collected from a number of investigations. We thank all the authorities, investigators, ringers and numerous field assistants involved in the projects. Special thanks are extended to John Ash for kindly allowing us to use his dataset. Our sincere thanks are also expressed to Prof. Eberhard Gwinner, the late director of the Max-Planck Research Centre for Ornithology and Prof. Ellen Thaler who supported the study in several ways. The Austrian Academic Exchange Service, Ministry of Foreign Affairs and Max-Planck Institute for Ornithology provided financial supports. Comments and suggestions by Graham Grieve, Richard E. Johnson, Pavel Ktitorov, Holger Schielzeth and three anonymous reviewers helped to improve the manuscript.